Saturday is of the most significance weekday fast. 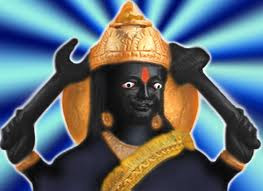 According to the scriptures, people in whose Kundali Saturn (Shani) is in weak position or it is not able to give its favorable results, must observe this fast. 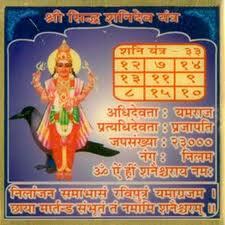 This fast is performed to get the best result of Saturn. 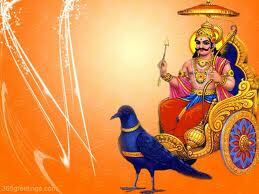 Saturday fast is observed to please Lord Saturn. 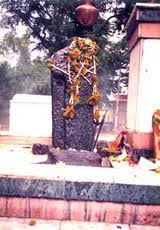 This Vrat is also favorable for people who have Sadesati, Dahiya, Mahadasha or Antardasha of Shani. Observing the fast of Saturday gives relief from joint pains, back pain, muscle disorders. It also reduces mental tensions and make a person optimistic. A person can start this fast on first Saturday of Shukla Paksha of any month. Ones the fast is started, it is observed regularly for 11 or 51 times. Then, Udyapan of this fast is done, and it is started once again. 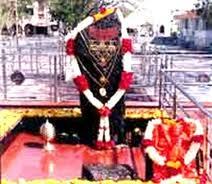 Shanivar (Saturday) is dedicated to Shani Devta .The Saturday fast keeps away all the hurdles and misfortunes. Saturn sits in a mirror chariot, yoked with eight black horses. 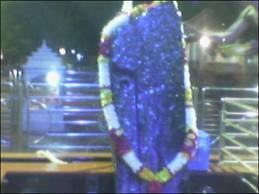 The recitation of Shani Chalisa is also beneficial. 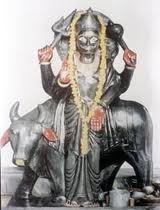 On this day the devotees worship Saturn idol made of iron. Black flowers, black sesame seeds . 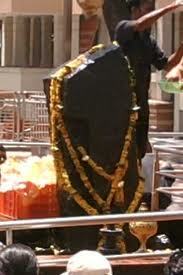 Horse bean and black clothes are used for worship. Black articles and Mustard oil are given in donation. Devotees also feed ants with whole wheat flour. Once the seven gods, the lords of the seven days of the week, were having exchange of wit for their amusement. Rahu and Ketu also joined the company. 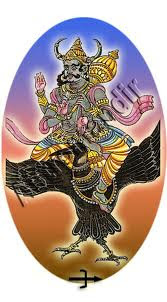 Rahu and Ketu posed a question—who is the most powerful god among us all? They could not decide this issue by themselves. 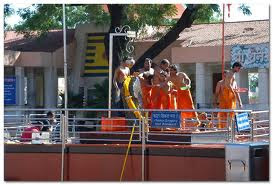 They went to Lord Indra for his adjudication. Lord Indra equally found himself in a fix. He thought if he gave judgment in favor of one, others would be displeased with him. 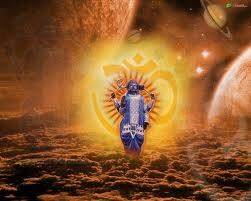 He said, “Respected gods, I am just one among equals. How can I decide this complicated issue? I cannot give an impartial judgment. Better go to planet earth. Vir Vikramaditya rules over there. He is very logical, judicious and righteous. Accordingly, they went to King Vikramaditya. 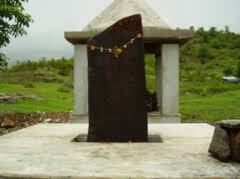 King Vikramaditya gave due respect to them and begged for any service. They told him about their mission. Though it was a difficult task, Vikramaditya being a dutiful king accepted it gracefully. Vikramaditya decided that he would not pronounce his verdict directly. He therefore arranged seven beautiful thrones. These thrones were made of gold, silver, bronze, brass, tin, zinc, mica and iron respectively. The gold throne was placed at number one and the iron one at the end. Vikramaditya requested the seven gods to grace the throne of their own choice. Sun was in the gold chair while Saturn occupied the iron chair. After a short time, inauspicious period of seven and a half years was occupied by Saturn on king Vikramaditya’s zodiac. 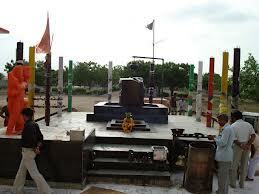 He visited Vikramaditya’s capital as a horse trader. He had very attractive black horses with him. When the king came to know about the strange horses, he sent for the Ashavapaal (groom) to buy a best horse for him. The groom selected one horse. The king was so pleased to see the horse. He could not resist himself from riding it and giving it a kick. He had hardly gone on the horse for a few seconds when it disappeared in the air with a great speed. In no time, the king found himself all alone in a deep and thick forest. He loitered here and there, but of no avail. He then met a cowboy. The cowboy arranged some water for the king and helped him quench his thirst. The king gave him his golden ring. The king ultimately reached a nearby city and met a respectable businessman. The businessman felt pity on him and arranged food for him. He earned high profits by the grace of Saturn and took the ‘king’ as a lucky visitor and kept him as a head cashier. Next day the businessman took him to his house. The ‘king’ saw a precious necklace hanging by a peg. For his great surprise he also saw the peg swallowing the necklace. He could not explain it to the businessman. The businessman took him for a thief and presented him before the court. The court ordered that the king’s hands and feet be cut with one stroke of a sword. An executor carried out these orders. The ‘king’ was now without hands and feet. A ‘Teli’ (oil seed crusher) felt pity on him and brought him to his house. He dressed the ‘king’s’ wounds and made him capable of driving the bullocks around the grinding machine with loud voice. Time passed on. The inauspicious period of seven and a half years was about to be over. The ‘king’ thought of singing the Malhar Raga on a rainy day. His powerful voice broke the silence of the night. The princess was thrilled to hear the song in her bedroom. She got fascinated towards the singer. The princess sent her personal attendant to know about the singer. The attendant was told that the singer was the helper to the Teli and without hands and feet. Even then she decided that she would marry that man or would remain unmarried throughout her life. She conveyed her decision to her parents. The parents resented the decision. To register her protest, she put on ordinary clothes and moved to a special chamber or Kopa Bhawan and lay down on an ordinary carpet. The king and the queen ultimately bowed before the princess’s decision and said, “If such is your fate, we are reconciled to it. The king sent for the Tell and said, “Arrange for the marriage of this handicapped help of yours with the princess.” The Teli did not believe his ears and took it as a joke. The king resented his behavior and said, “Do not take it as a joke. This is our final decision.” On an auspicious day, the princess’s marriage with that handicapped person was solemnized. That was the last inauspicious day of the king. It was a honeymoon night. At mid-night, the king had a small nap. Saturn visited the king in his dream and said, “You ranked me the lowest among the gods. You have undergone enough sufferings for your misjudgment.’ The king begged his pardon and said, “Please do not inflict such sufferings in future on anyone as you have inflicted upon me.” The Saturn accepted the king’s request and disappeared. The king opened his eyes and, to his great surprise, found his hands and feet in proper shape. The princess’s joy knew no bounds when she saw her husband in perfect shape. Next day, the king also felt happier. And when the king came to know that his son-in-law was no one else but king Vikramaditya himself, he was overwhelmed with joy and praised his stars. The businessman got this news and felt guilty over his behavior towards. Vikramaditya. He invited him for dinner. King Vikramaditya said, “I shall dine in the same room where the peg swallowed your precious necklace.” The businessman agreed and arranged the dinner in that room. When the invitees were dining, they saw to their great surprise that the precious necklace was slowly emerging from the same peg. The businessman was so much overwhelmed at this sight that he, too, decided to marry off his daughter to Vikramaditya. When the dinner was over the businessman folded both his hands and offered many Moharas (coins) and requested him to marry his daughter, Shrikanbari. After that the businessman got his daughter married to King Vikramaditya and presented him plenty of dowry and wealth. This way for some days he stayed there in the city and after that Vikramaditya told the King of that city that he wished to return to Ujjain. Then after a few days taking leave along with the Princess Manbhavani and the businessman’s daughter Shrikanbari and along with the dowry from the households with, servants, maids, chariots, palanquins. Vikramaditya returned towards Ujjain. King Vikramaditya returned to his kingdom. The subjects received him and his two queens with full warmth. The king happily entered his palace. The whole city was decorated like an important festival and in the night lamps were burning everywhere. The king asked his courtiers to make a proclamation by the beat of drum that Saturn is not less powerful than any other god. He had judged him as the smallest that is why he got all these troubles and sorrow. Then onwards the whole city fasted every Saturday and did the Puja and heard the story and all the citizens started living happily. The person who reads this story or hears this story on Saturday, with the Blessings of Saturn all his sorrows will vanish. The story of Saturn must be read on the Saturday fast and that they should keep fast on Saturday as a mark of honor of Saturn.